Camping in the lap of Himalayas is something each one of dream about and when it comes to camping in Ladakh, it becomes a pristine dream 🙂 🙂 … When traveling to Ladakh, camping is considered to be one of the key adventure activities by the people with the craze of adventure. And, I will say why not?? When you have the luxury of a billion star place to stay right in the middle of nowhere with nothing but just raw nature surrounding you and your soul, who can say no to it. Today in this article, I will talk about some important tips which you should keep in mind while camping in Ladakh. Can I pitch my camps in Ladakh? 1. Where can I do camping in Ladakh? There is usually a common confusion or question among almost everyone looking forward to camp in Ladakh. Well, the experience of camping in places like Ladakh can be a little different than camping in the jungles or lower hills. Ladakh is a cold desert and finding water everywhere is a challenge too and must be kept in mind when camping in Ladakh. Secondly, the high altitude takes a different toll on the body and acclimatization becomes the key factor to the success of your camping in. Thinking of camping in Ladakh? Camping in Ladakh is certainly possible and thousands of people camp every year in Ladakh. 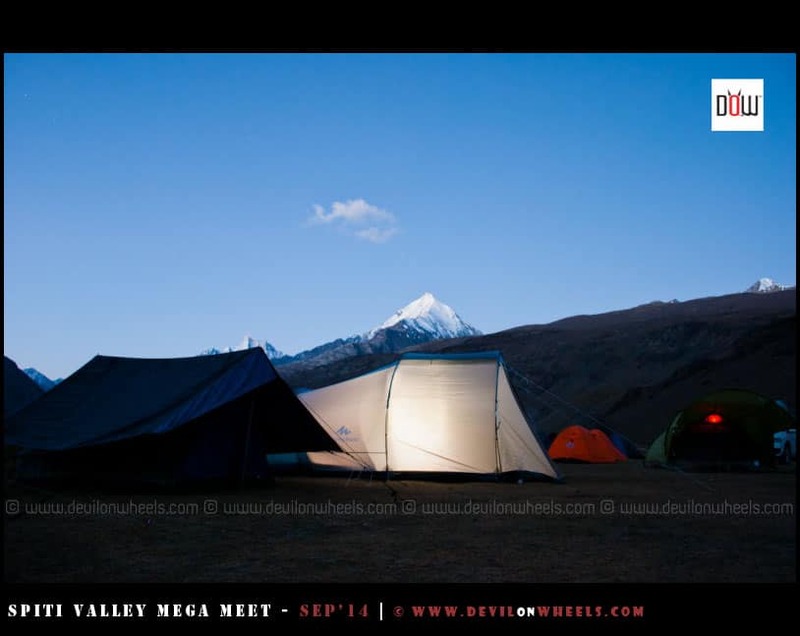 You need to take care of some points that will help you plan a better camping trip to Leh Ladakh. 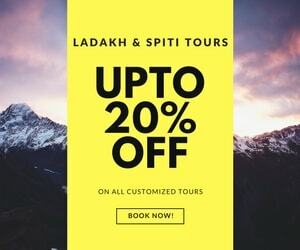 I am sure that the tips mentioned in this article will help you have a great camping experience in Ladakh and you can definitely apply some of them to the other parts of the Himalayas too. Let us see some tips for camping in Ladakh that will help you get the answers to many questions you might have and knowing them may help you be out of trouble while putting up in camps in Ladakh. The first and foremost concern is where should I camp in Ladakh? Well, you can pitch your own tents or camps almost anywhere in Ladakh. 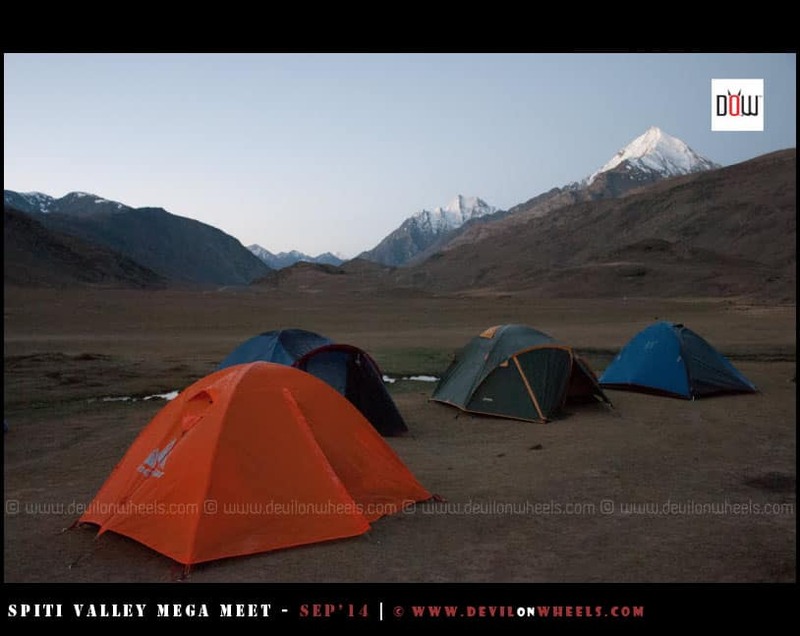 But I will suggest that you pitch them at a place where there are some dhabha tents put up by locals or where other camping guys pitch theirs or somewhere near some local house in the village or in their garden/lawn. All you will need is to gently ask them (villagers/dhabha guys/camping guys) for permissions. Most likely they will allow, otherwise negotiate for a small little tip or move on to some other such place nearby. Sometimes paying for the meals at their dhabhas should be enough too. Though as I said, you can camp almost anywhere in Ladakh. But keep in mind that camping is not allowed everywhere and there are restricted sites which mostly comes either under army secured zone OR under wetland reserves, Ramsar sites etc.. Both the lakes in Ladakh, Pangong Tso and Tso Moriri comes under wetland reserve and camping is not allowed at the bank of these lakes. It is treated as illegal. Hence, you need to pitch your camps away from the lakes where either other camps are there or at a nearby village. I request each and everyone to respect the mother nature and follow the rules not your guts to camp at a forbidden land for both security and nature preservation perspectives. Try to condemn people doing it as well and ask them politely to respect the laws and nature to preserve the site. Seek help of locals in case you feel you may end up in trouble. You should always camp in Ladakh at a place where water supply is in the vicinity and ensure that you select a high place from the stream’s level just in case the water level rises due to inclement weather or flash floods. Also, make sure you see there are no past signs of flash floods up there. Try to choose a place where you will be least hit by the wind. If you set up a campfire please ensure that you DO NOT light up at places where there are thatched roofs in the vicinity. Do also ensure that you put it off completely before you leave the place. One little ignorance can prove life threatening and damaging for the locals. 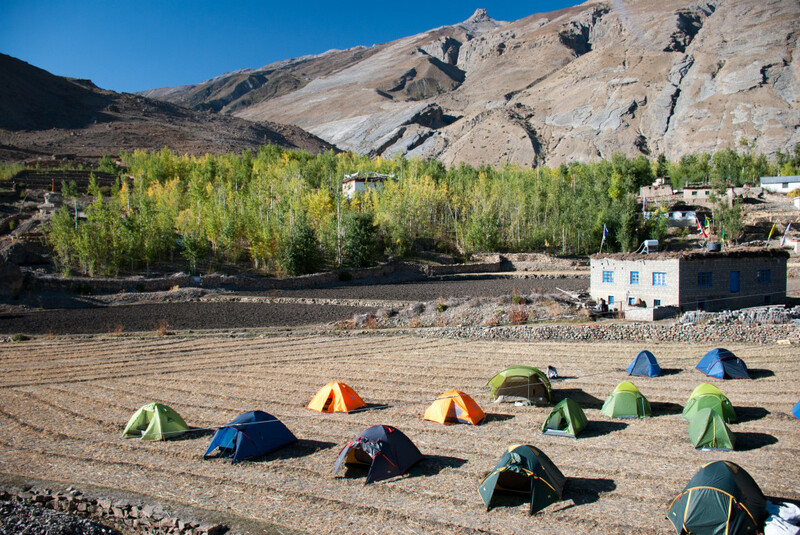 Acclimatisation does play a critical role in camping in Ladakh too. Setting up camp and then getting it off is an activity of exertion. You need to ensure that your body feels right and acclimatized before you undergo exertions. If you do not feel well and are not acclimatized well, camping in the middle of nowhere may end up having you in deep trouble. So, please ensure proper acclimatization and well being before camping. Manali Leh Highway is a perfect example, where camping can be done anywhere on Manali Leh Highway but you must be preferably at an altitude where AMS does not hit you. 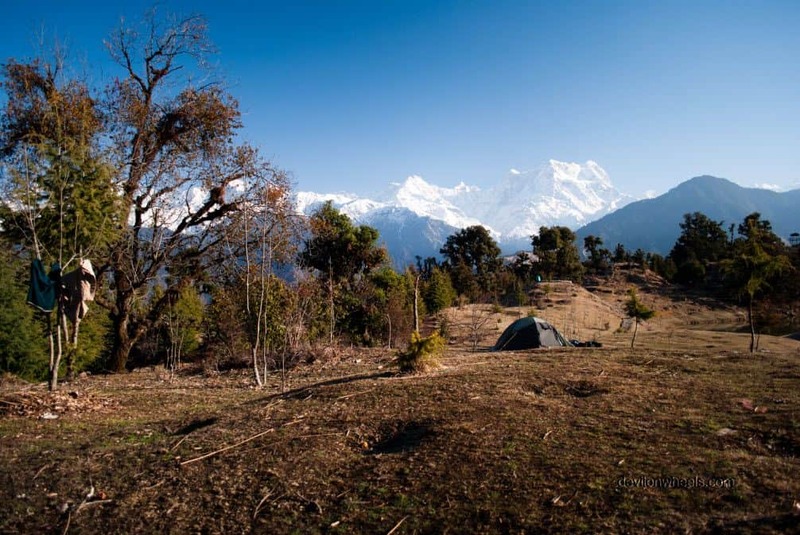 There is no issue up to Darcha and you can camp anywhere but beyond Darcha the whole highway runs at an average altitude of 14000 Feet almost until you descend down to Rumtse from Taglang La. Once you cross Darcha, then I will suggest to camp only around Sarchu and Pang so that you get some help in case required from the people around. Staying warm and being well hydrated will surely help you acclimatize at a much faster rate. It is always better to wash or sanitize your hands every now and then because even diarrhea could become very serious when coupled with high altitude. Best way to stay away from it is to wash/sanitize your hands often and if possible try to carry a water bottle with a filter. Do carry medicines for stomach upset, diarrhea and other basic medicines for regular illness especially for which you are vulnerable. In case you will leave the food open at night, it might attract wild animals when camping in Ladakh which can end you up in trouble. Always try to pack up all your food after cooking and do not leave it in open. I hope the above tips on camping in Ladakh will help you be aware of common practices and know how on camping at such places in the Himalayas. 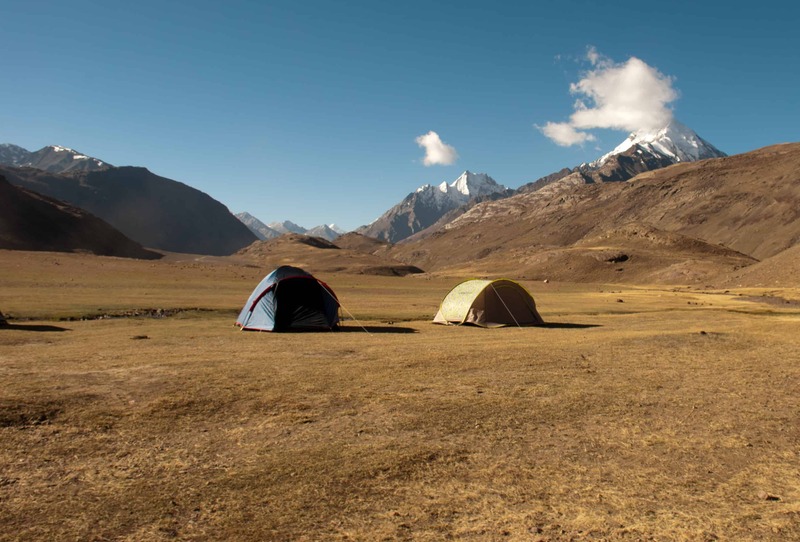 These tips should help you answer any questions about your upcoming camping trip to Ladakh. Feel free to share this article with your friends or family who you know will be going over for camping in Ladakh. 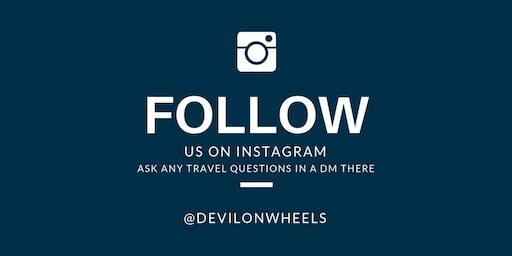 Do you know any other tips which you think will be useful to fellow travelers? If yes, feel free to share in the comments section of this article below or in case you may have any questions do not hesitate to leave a comment. yes and thanks for all the details it is very helpful. I have already done ladakh but I am planing to go some where on hill station.